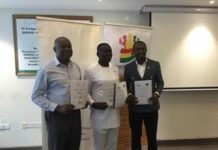 CUTS Ghana, a research and advocacy policy think-tank in Accra has called on government to enhance domestic revenue mobilisation and shy away from short-term borrowing. 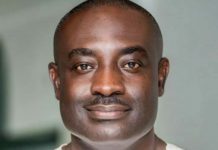 The country coordinator for CUTS Ghana, Mr. Appiah Kusi Adomako, at news conference held in Accra said though domestic revenue mobilisation has gone up, there a lot of economic activities in the country that are not yet taxed. 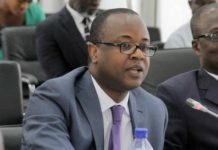 Mr. Adomako pointed out that due to the huge gap between government’s revenue and expenditure, it has to rely on borrowing to meet that funding gap. However, huge borrowing exposes the country to maintaining debt and its servicing, and leaves nothing for infrastructural development. He added that the tax to GDP ratio in Ghana is 17%, compared with a 19.1% average in Africa, 22.8% in Latin America and 34.3% in the OECD. Investment in the operations of the Ghana Revenue Authority (GRA) hold the key to enhanced domestic revenue mobilisation. Mr. Adomako also pointed out that Ghana collects approximately 55% of its tax revenues from indirect taxes including VAT, excise duties and Customs duties, which have been found globally to be regressive, and around 30% of its tax from VAT. 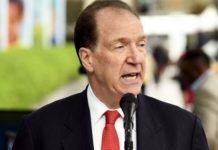 This regressive nature of taxation means that the poor pays the same effective tax rate as the rich – which he believes has worsened the plight of poor and vulnerable citizens. Mr. Adomako urged government to explore and deepen its efforts in raising more revenue from progressive taxes. He was emphatic that economic inequality is on the increase in Ghana, which is also impacting on the fight to reduce extreme poverty. Large parts of the Ghanaian population remain locked out of the gains from growth. This is compounded by large inequalities which also exist within Ghana, based on region and rurality. It is crucial that government works to address this spiralling inequality. See Also: Budget Review: AGRICULTURE -- Can the ‘Marshall Plan’ do some magic? Launching the advocacy campaign on Fiscal Policies to Address in Equalities, Mr. Appiah Adomako said taxation is a matter of taking money and redistributing it across the country. That is tax, and spending it is the duty of every government. When done properly, it reduces inequalities. A good tax system is progressive. 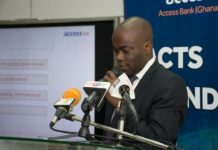 Presenting the highlights of research done by CUTS partner – Oxfam in Ghana, Mr. Adomako indicated that tax exemptions and deductions for multinational firms in Ghana amount to an average of US$1.3billion annually – which represents two-thirds of the education budget and 80% of the health budget. He added that the country is haemorrhaging millions of dollars annually from tax agreements with some countries. He stated: “On the issue of tax treaties, Ghana has signed treaties with 12 countries. 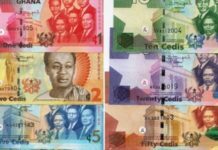 These set low rates for the taxes Ghana can deduct up-front from companies headquartered in these countries before they can start shifting profits out of Ghana, and therefore reduces Ghana’s tax revenue. However, they have had less effect on reducing tax revenue than in other countries, because Ghana has set very low withholding tax rates (between 8% and 20%) which are generally similar to the ceilings in the treaties (i.e. Ghana has deprived itself of withholding taxes). A research associate at CUTS Ghana, Mr. Isaac Yaw Obeng, said the study estimates that “Two-thirds of the overall inequality-reduction is accounted for by spending on education and health: spending on education is the most inequality-reducing (accounting for around two-thirds of the reduction in Gini from government spending), partly because Ghana spends a high share of its education budget on pre-primary, primary and junior secondary schooling, which benefits lower-income groups”. He added that though the education sector budget has increased by 11% from GH¢8.33billion in 2017 to GH¢9.26billion in 2018. However, much of the increment went into the payment of compensation compared to goods and services and capital expenditure. The share of allocation to compensation increased significantly from 91.4% in 2017 to 98.5% in 2018. Investment in teaching and learning infrastructure holds the key in narrowing the inequality gap. 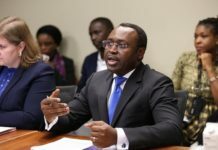 On the area of health, Mr. Yaw Obeng said: “Given that health and education account for two-thirds of the reduction in inequality as a result of social spending, it is absolutely vital that any reductions in health spending are reversed; greater allocations help scale up access for the poorest, and ultimately move toward universal health care. Moreover, the existing health budget needs to work better at addressing inequality and to decrease inefficiencies in the system. Increased funding to the NHIS is needed to reduce out of pocket expenses on healthcare of the poor, whose healthcare needs rest on the scheme”. 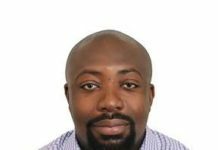 Programmes Officer at CUTS Ghana, Hilary Luna Enos-Edu, urged government to free-up funds for anti-inequality spending by reducing the debt service burden and making revenue mobilisation a top priority. She urged the metropolitan, municipal and district assemblies to maximise revenue from property rates to support education, healthcare and sanitation, and not to over-rely on central government for all their needs. Ms. Enos-Edu asked government to clamp down on tax exemptions, and enhance domestic revenue mobilisation with a strong emphasis on progressive taxation, which helps to redistribute income; and do more to address geographical inequalities through better constructed financing formulae, to overcome continuing urban-rural and North-South divides. CUTS Ghana is a public policy think-tank working in the areas of trade and development, competition and economic regulations, and governance and consumer protection across Asia and sub-Saharan Africa. Established in 1983 and with its headquarters in Jaipur, India, the organisation has regional presence in Accra, Nairobi, Lusaka, Geneva and Hanoi. Oxfam in Ghana is supporting this CUTS Ghana initiative.